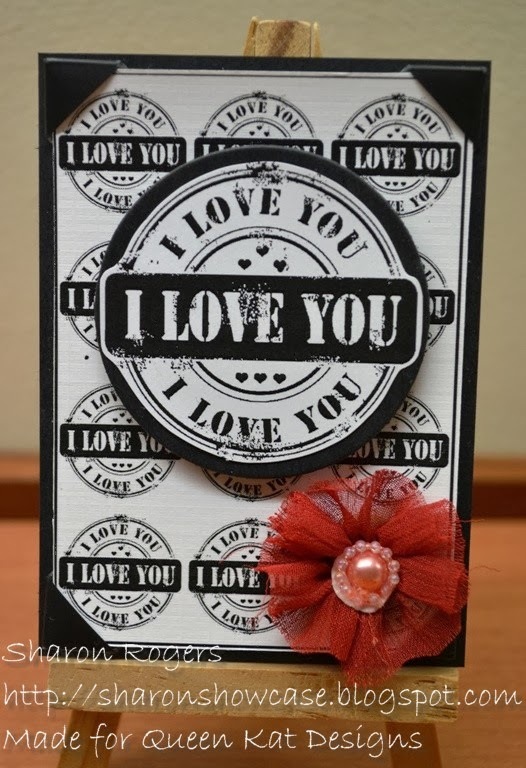 Today I am sharing 3 little ATC's using new release images from the QKD Store! It's new release day on the 15th of each month so "Queen Kat" has just posted all the new releases for the month!! Check out our Facebook Page for more details as well! 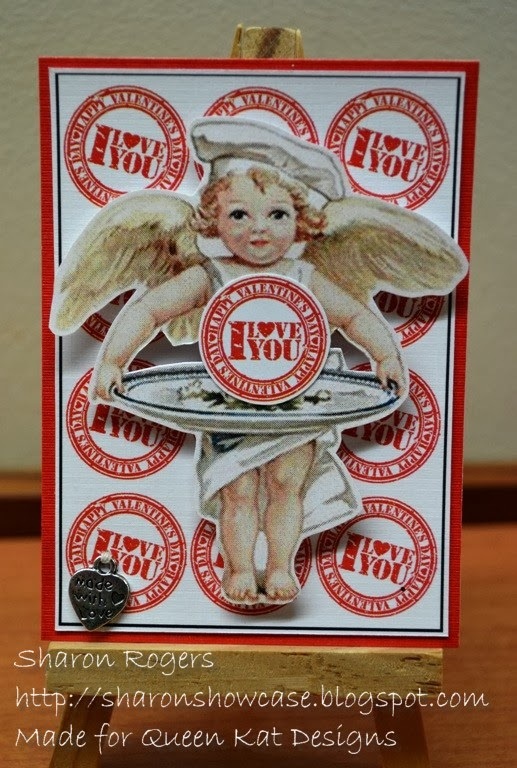 For my first ATC I used the image to make the background and then printed an extra little "stamp" to add to the platter this cute cherub is serving up LOL! I added a little charm to the bottom corner which says "Made with Love". Collage cherub image is from Gecko Galz. My next ATC uses another image in a similar way - I used the image to make the background and then the main image has been mounted on black card and I used mounting tape for some dimension plus I added the red flower for some contrast. 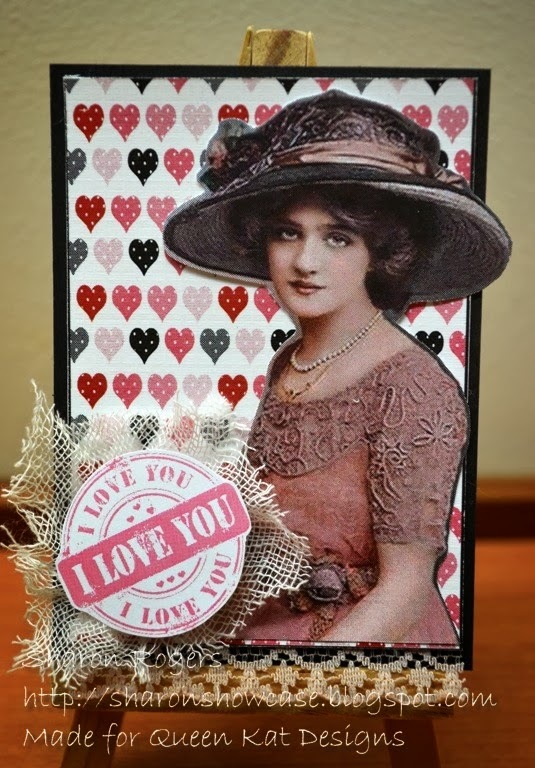 I love my next "vintage" style ATC with the little "I Love You" image printed in pale pink to match this elegant woman - collage image from Gecko Galz and background heart paper from SherryK Etsy Store. I always love to create with pink somewhere on my creations!! I have some CAS style cards to share with you next week using these new images again along with a great "Parisian" style image so stay tuned! And please head over to the store to grab yourself some Valentine's images so you are prepared for the day!